Through the battles, death, mud and misery of 1864, Elisha Hunt Rhodes, a Civil War soldier from the village of Pawtuxet, Cranston, was sustained by his indomitably positive spirit, a deep religious faith, and a firm commitment to the Union cause. 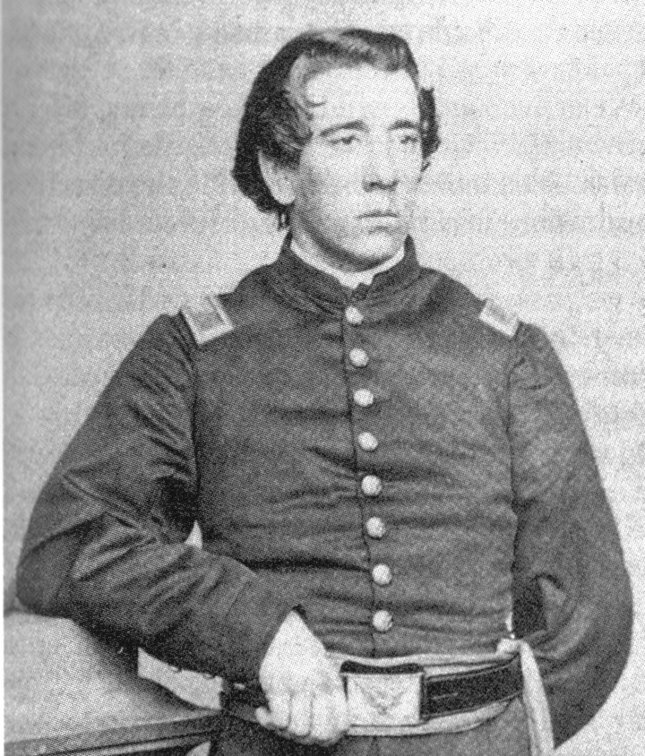 Rhodes entered military service for the Union in July 1861, as a private and left it four years later as a colonel, serving most of his time with the 2nd RI Volunteer Regiment (Infantry). He began this year with the rank of 1st lieutenant in the position of regimental adjutant. On June 7 he assumed command of the regiment and on June 26, achieved the rank of captain. Rhodes himself was shot several times but miraculously escaped death. On May 6 he was struck in the right forefinger, which “only hurt me a little.” On May 12 he was hit in his right breast, tearing his coat, and bruising his right arm. It turned out to be just a surface wound. On July 4, he invited his officers to a dinner to celebrate the holiday. The bill of fare: stewed oysters (canned), roast turkey (canned), bread pudding, tapioca pudding, apple pie (made in camp), lemonade, cigars. His abiding faith in God and the Union cause clearly sustained him throughout this year. He regularly attended Protestant services on “the Sabbath” in many towns in the South, often noting the rebellious nature of the sermons. This entry was posted in Uncategorized and tagged All for the Union, American Civil War, Civil War, Elisha Hunt Rhodes, Fred Zilian, Rhode Island. Bookmark the permalink.